We Care For You & Your Pool! North Shore Pool & Spa, “your backyard expert,” is your source for top quality products to help you enjoy your pool or spa experience to the max! We like to practice using ‘an ounce of prevention’ to keep work to a minimum. Let us help you understand how best to care for your pool and get the most out of it with the least work. ASK US ANYTHING, ANYTIME! We’re glad to have you call our toll-free number (bottom of every page) or send us a question online, but ideal is for you to come in with a water sample for testing. Like a doctor, we can’t really tell you much over the phone, but once we can examine the “patient” and ask you some simple questions we can usually make a total diagnosis and recommendation. 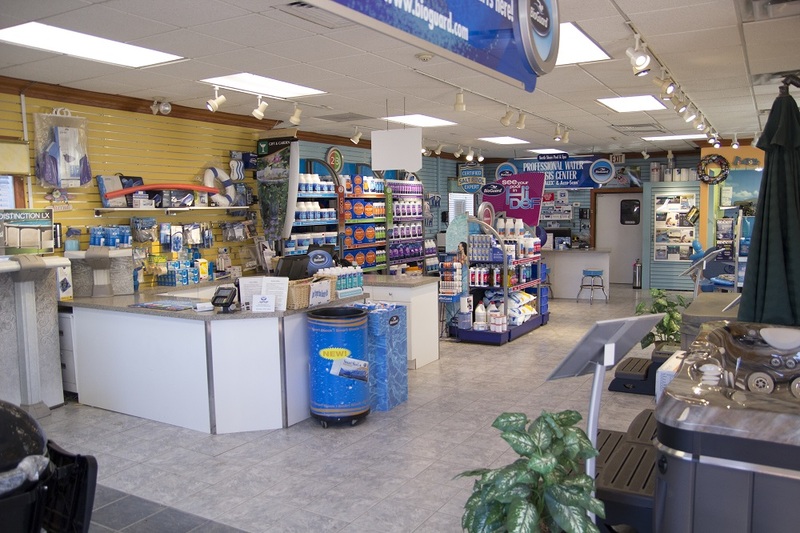 We also have replacement parts, new filters, and all the tools you need to keep the pool clean and running in top shape. And finally… toys, games, floats… that make the pool extra fun. It’s not just for swimming, you know! Explore our Web site for help information, tips, safety issues and ideas! If you don’t find your answer here…. Please call and ask! We want to be your resource.